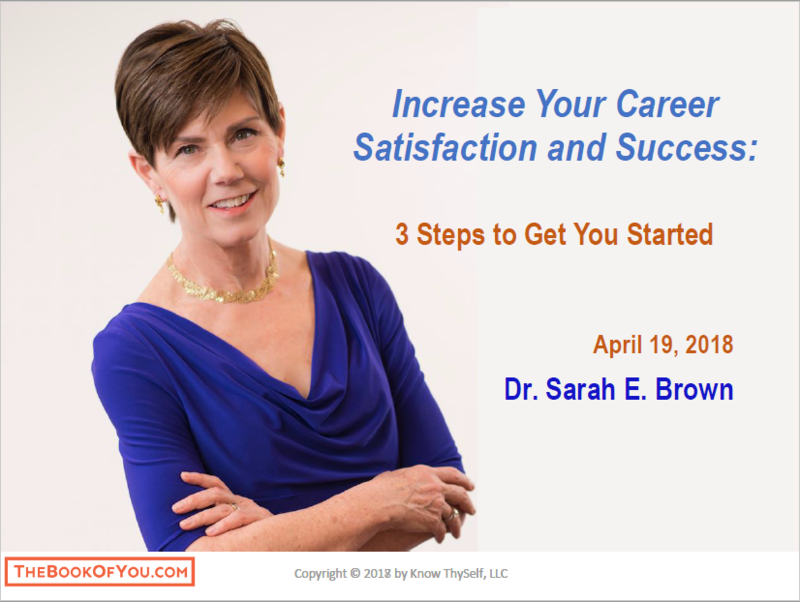 This past Thursday, Dr. Sarah E. Brown Author, Founder and CEO of BookofYou.com provided invaluable tools to realizing the advantageous knowledge about yourself that can immediately be put into practice to be happy, successful and understood in your career. Click on the image below to view slides from the presentation. This entry was posted in SPW News on April 23, 2018 by Powell Davis.